Mattress Concierge is a nationally known provider of hospitality bedding and sleep-related products. We custom design mattresses to meet the particular needs of each hotel owner—combining high quality with high value and good looks. Leading hospitality venues have grown their repeat business and enhanced their reputations by relying on mattresses and sleep products from Mattress Concierge. The Mattress Concierge branded sleep experience distinguishes hotels across the country and motivates guests to return again and again. We are the branded sleep experience company for fine hotels and interior designers with discriminating taste. Sign up with your email address to receive news, special offers, promotional events, and updates. Your email address will be kept private. It will not be shared. Our Luxury line is a two-product offering—a two-sided Luxury Plush/Firm and a single-sided Luxury Plush. Both are constructed with a pocketed coil innerspring, edge to edge coils, a steel border rod and multiple steel edge supports. The luxury line offers an extra degree of comfort. We added additional layers of high-density foam comfort layers to provide a softer, more luxurious feel. The Luxury Plush/Firm is an ideal feel mattress with a Luxury Plush feel on one side and a Firm feel on the other. It allows a guest an optional sleep experience. This product is truly the top of the line when it comes to guest comfort. Our Classic line consists of a two-sided Classic Plush/Firm and a single-sided Classic Plush. Both products utilize pocketed coil innersprings, edge-to-edge coils, a heavy-duty steel border rod and multiple steel edge supports. The unique aspect of the Plush/Firm is that the dual feel offers a guest a choice of sleep experiences. If the mattress is too soft, it can be flipped to the firm side for an alternate feel. Our Plush/Firm mattresses are designed to please your most fastidious guests. The idea is elegantly simple. 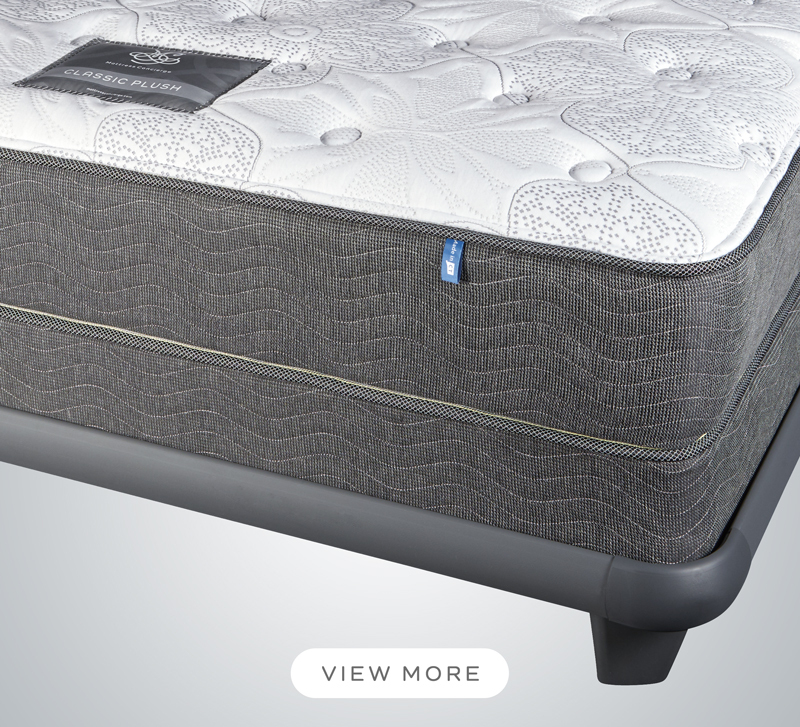 It provides a soft, sumptuous sleep experience on one side, and a firmer sleep option on the other. This allows hotel management to respond to guest preferences by merely flipping the mattress one way or the other to achieve the desired feel—exceeding guest expectations and streamlines housekeeping and other hotel management logistics. Our manufacturing partner, Gold Bond of Hartford, Connecticut, handcrafts all Mattress Concierge hospitality mattresses to our exacting specifications. 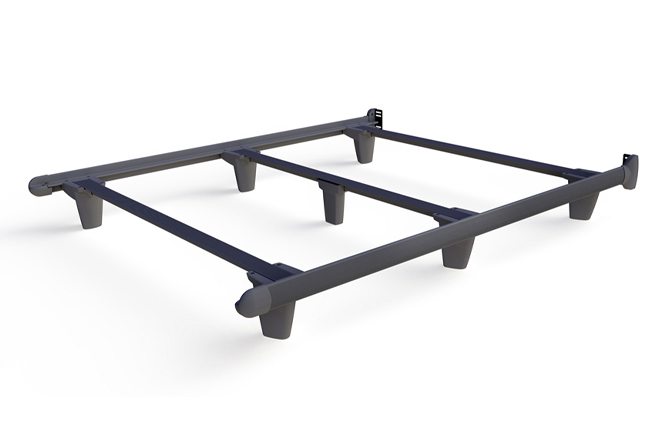 Our mattresses are constructed with edge-to-edge encased steel, rugged 6 gauge steel border rods, durable steel edge supports and a pocketed coil innerspring for the finest sleep configuration. Only high-density foams, natural cotton and densified polyester are used to enhance the luxury feel of our products. All materials are mechanically attached to the core innerspring and the resulting product is tightly constructed and made to last. Our mattresses come with a 15-year warranty, and are proudly tagged “Made In CT Since 1899,” celebrating the heritage of our fourth generation manufacturing partner. 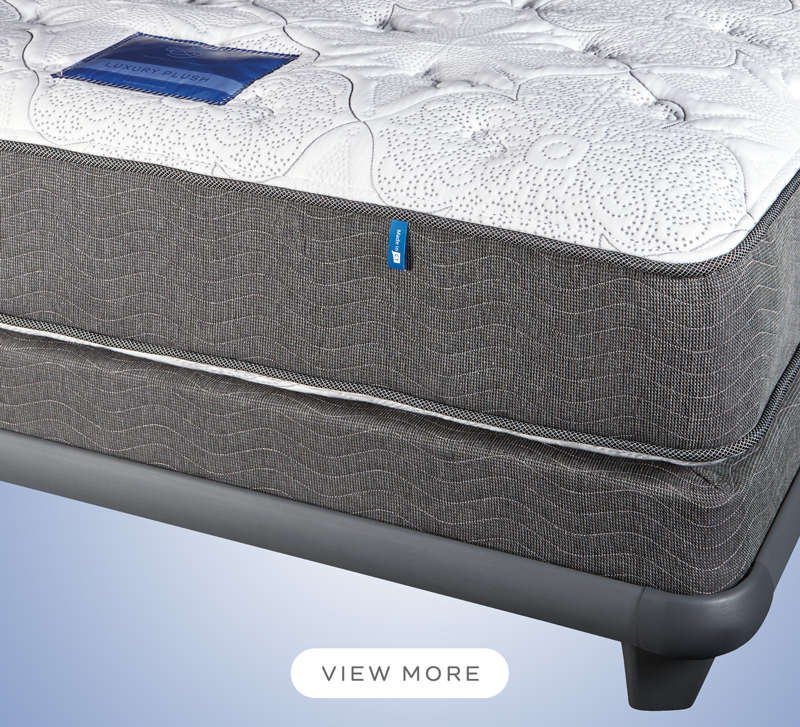 Knickerbocker is the exclusive supplier of bed support systems to Mattress Concierge. We feature their newest and most innovative design, the emBrace™ 360 and the standard emBrace.™ Both are double steel frame totally encased in plastic. 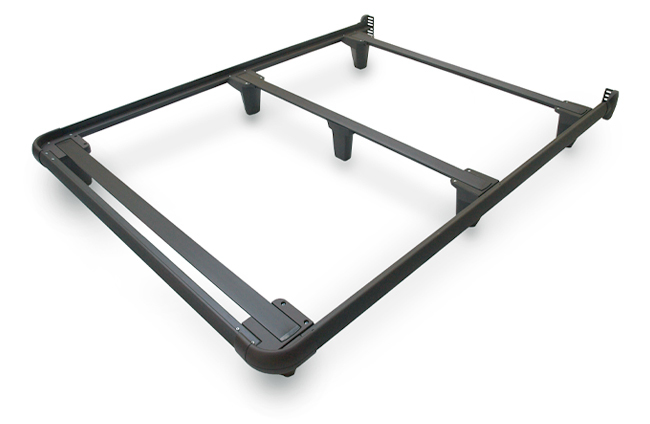 These beautiful and strong frames snaps together easily with no exposed metal parts. The emBrace™ avoids the possibility of injury to exposed metal edges and reduces the potential of work related claims. Jeff has over 30 years experience working with high profile hospitality properties. Jeff is known for his extensive hotel industry knowledge, strong commitment to integrity and longstanding client relationships. A straight-forward business man, Jeff began his career in the hotel development business, specializing in creating hotels from the ground up and managing sales and operations. He established his hospitality sleep credentials by managing the Heavenly Bed program for Westin Hotels. Through his leadership, Mattress Concierge has established a strong brand presence and worked with a variety of iconic hospitality groups—Historic Hotels, The Luxury Collection, Relais & Chateau to name a few. Jeff is a no nonsense manager who puts his customer’s interests first. With him, the answer is always “yes we can” and Mattress Concierge is committed to delivering on that promise. Rob has spent more than 20 years in the insurance and managed care industry working with clients in the start-up stage to the most established and complex, industry leaders. Rob is known for his longstanding client relationships, which have been based on trust and commitment to meaningful projects that advance his clients’ business objectives. Having held several sales and key client management roles, Rob brings to Mattress Concierge the skills to assure clients will have a successful partnership with the company and benefit from his passionate attention to detail and ambitious attitude. Rob is 1995 graduate of Dickinson College. With more than 20 years of experience in purchasing, hospitality sales, marketing and design, Sherrie has built long-standing relationships with manufacturers and clients alike. Her stellar customer service, trend forecasting and experience designing for luxury hotels, five star resorts, commercial workspaces, multi-family properties, restaurants, corporate offices and healthcare spaces across the country have earned her a reputation that is unmatched in the industry. Sherrie is a member of the NEWH hospitality industry network. (860) 969-1506‬ or by email.